Valentine's Day is fast approaching and I've got a sweet project for you - that won't add any extra calories to your diet! I like to make a special meal for my family on Valentine's Day and love to set the table with all things Valentine. This year I'll be setting my Valentine's Day table with a set of easy to make placemats that I created using my Janome Horizon Memory Craft 9400 QCP. The AccuFeed Flex system on my Janome 9400 made it super easy to do the wavy line stitching I used on this project. It’s easy to see where I’m stitching and using the AccuFeed Flex system evenly feeds my fabric and batting together without any stretching of the top fabric. It’s one of my favourite features on the Janome 9400 and I know I’ll be doing more walking foot quilting with this machine. These placemats are so quick and easy to make, but the best part is that they don't require any binding. That's about it! See, I told you it would be simple! You'll also need a good sewing machine, of course, which in my case is the Janome Horizon Memory Craft 9400 QCP. It was my best helper as I used the walking foot and AccuFeed Flex system on the machine for the quilting. Since I wanted to make a set of placemats for Valentine’s Day, I used a heart-patterned vintage feeling fabric for the centre of the placemat and the solid fabric for the borders and backing (it’s all one piece). You'll need to decide on what you want the finished size of the placemat to be and cut the fabric you’ve chosen for your placemat centre and your batting to this size. In my example, I used a 12” x 14” piece of fabric and this would be the actual size of my placemat. Now, let’s get into a bit of math: don’t worry, it’s really not that complicated – believe me, if it was, it wouldn’t be me telling you about it! To determine the cut size of the backing/border fabric (solid fabric in my example), decide on the size you want the borders to be. I wanted the borders to be 1½” wide. I then multiplied this number by 4: 1½” x 4 = 6” and added this amount to the length of the centre fabric. This was 14” + 6” = 20”. I then did the same calculation for the width of the centre fabric, which was 12”. There were also 1½” wide borders on the top and bottom, so I multiplied this by 4: 1½” x 4 = 6” and added this to the centre fabric width of 12” for a total of 18” (6” + 12”). The figures that we just calculated are the size that you’ll be cutting from the backing/border fabric. So, in my example, I cut a piece of fabric 18” wide by 20” long and this would be the backing and borders on the placemat. Just to review: the centre fabric and batting were cut 12” x 14” and the backing was cut 18” x 20”. Top and Batting cut to 12" x 14" with Backing cut to 18" x 20"
The next step in the placemat construction is to quilt the top and batting together. I used the walking foot on my Janome 9400 to do this and did some wavy line quilting vertically and horizontally. This was fun and so easy with the help of the AcuFeed Flex system on the Janome 9400. No bunched fabric and it kept both the batting and fabric together without even using pins! After the quilting is finished, it’s time to centre the quilted top onto the backing and then stitch everything together ¼” in from the outside edge of the quilted centre. You may find pins helpful here to keep everything in place. This next part is when the mitered corners are created and it’s almost like magic! Trim off all 4 corners of the backing on a diagonal to remove excess fabric. Be sure that you are ¼” away from the corner of the quilted centre. Fold in each of the sides (the backing) to meet the quilted centre and press them to keep them in place. Flip the placemat over and match adjacent sides, being sure to line up at the corner and down the side. Pin to keep in place. 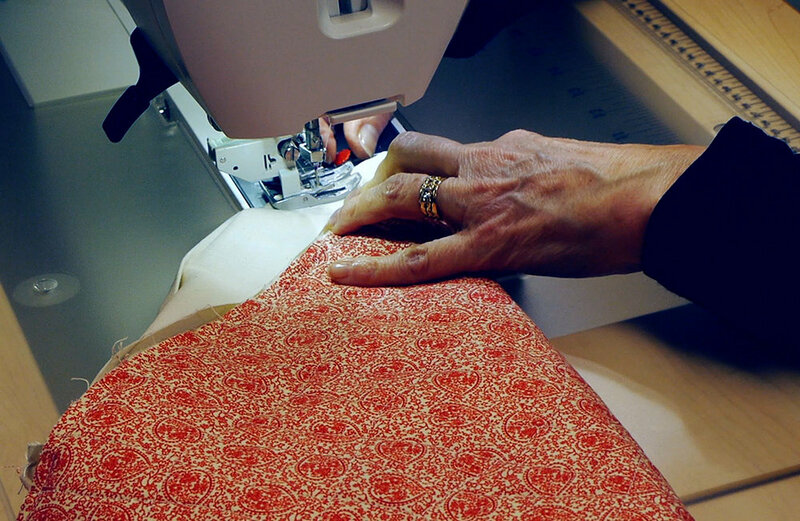 Once everything is pinned properly – don’t make the mistake I did – you can stitch the seam at each corner with a ¼” seam. When you have finished this stitching, you can trim the excess fabric and batting on the corners and then flip the corners out to the front and push out all the corners using That Purple Thang or similar tool (be careful not to poke too aggressively or you may end up with a hole in your corner!). Press the placemat down and then topstitch the open edge all around the interior of the placemat with a ¼” seam or you could use a decorative stitch. If you want to do additional quilting in the border, you could do that too. Now that you’ve seen how easy it is to make one of these placemats, keep going so you’ll have a complete set of 4 or 8 or…? I think that a set of placemats would make a perfect wedding or house warming gift and with this pattern you can design them to any size you want. 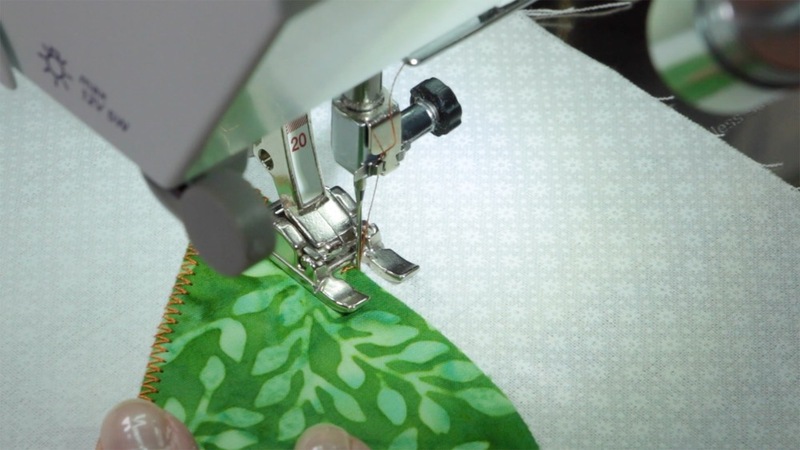 This was the first time I’d used the walking foot for quilting and I was pleased at how easy the AcuFeed Flex system on the Janome Horizon Memory Craft 9400 QCP made it. I’ll definitely be doing more walking foot quilting on future projects. Click on the image below to view a video on my YouTube channel that shows you the step-by-step process to make these easy placemats. I hope you'll try creating these easy placemats on your own. You could make a set for every holiday! P.S. This blogpost may contain affiliate links which means I will receive a small compensation if you purchase by clicking through in the links in this post. Thank you for allowing me to continue providing you with free content. P.P.S. 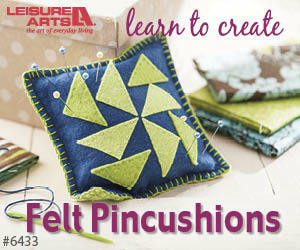 Did you know that you can sign up to receive FREE emails full of quilting goodness? Just click here to receive FREE content directly in your email inbox every few weeks from Chatterbox Quilts. I know you'll be glad you did! Snow Cool is a quick appliqué wall hanging project using fusible web and it's FREE! Learn how to do this easy appliqué technique in Essential Guide To Fusible Web Appliqué. Snow Cool by Chatterbox Quilts uses hand embroidery and fusible web appliqué to create a small wall hanging. Bundle Up is the perfect table runner or wall hanging, again created using fusible web appliqué. I've made this as a table runner and as a wall hanging: just change the orientation of the appliqués to create a vertical design. With its blustery theme, Bundle Up can decorate your house all through the winter. 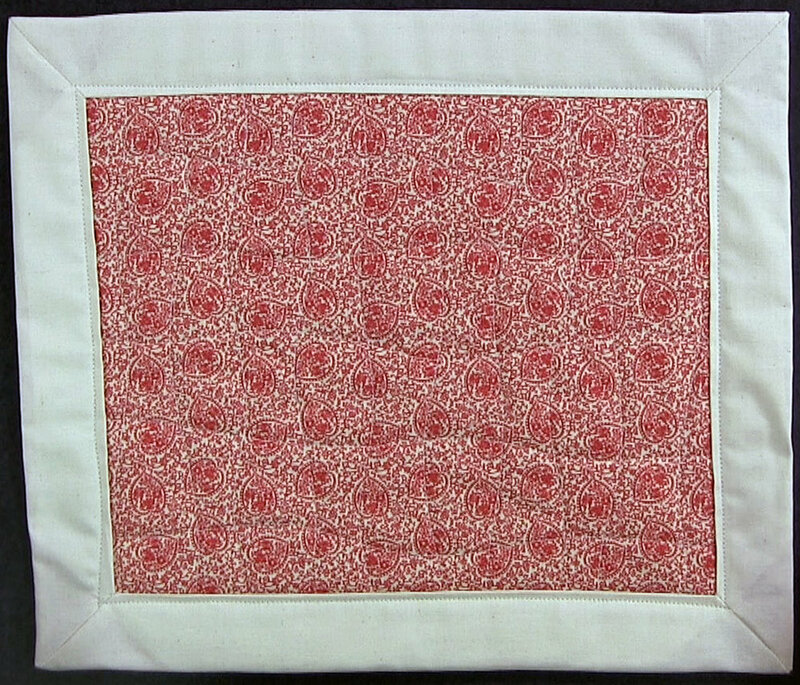 Bundle Up by Chatterbox Quilts can be either a table runner or a wall hanging. If you like circles, Bubbly Stripes is the pattern for you. This can also be either a table runner or a wall hanging. Change the look of Bubbly Stripes for the holiday season by creating it in Christmas or winter fabrics. 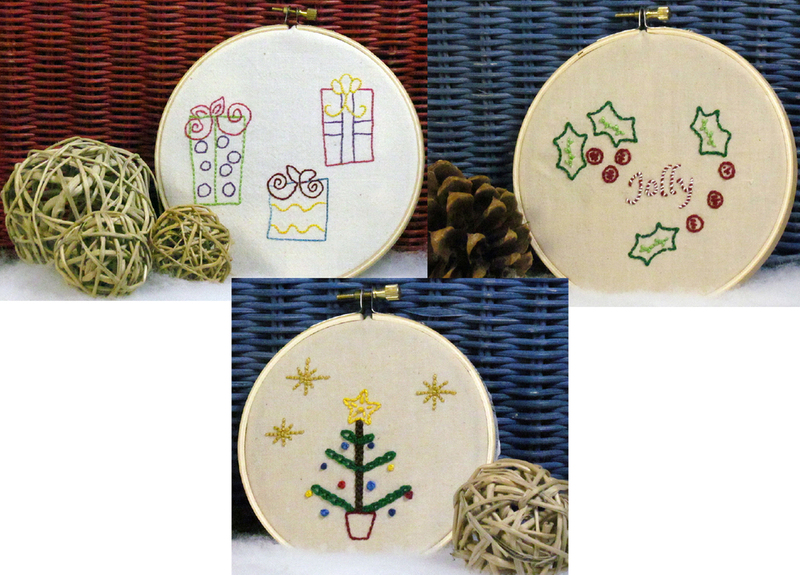 Use the various decorative stitches on your sewing machine to finish the edges of the fusible web appliqué circles or stitch across the circles with decorative machine stitches to create ornaments from the circles. Bubbly Stripes by Chatterbox Quilts would look great in seasonal fabrics with decorative machine stitching around the appliquéd circles. For frosty appeal, create Snowflakes a' Fallin'. This is also a fusible web appliqué design by Chatterbox Quilts that can be either a table runner or a wall hanging - you don't even have to change the orientation of the snowflakes for this one. There is lots of opportunity for embellishment with this pattern, so get out your metallic threads and hot-fix crystals! Snowflakes a' Fallin' by Chatterbox Quilts makes a lovely table runner. If you're new to fusible web appliqué, enrol in my on-line course, Essential Guide to Fusible Web Appliqué to learn all about this easy appliqué technique. Enrol in Essential Guide to Fusible Web Appliqué to learn how to do this fast technique. If you have stitchy friends who own a vintage sewing machine, they'll appreciate Vintage Sewing Machine Covers. This pattern includes a table runner just the right size for most vintage sewing machine cabinets as well as a bed extension cozy for the singer Featherweight sewing machine. Both of these are very easy and quick to make. They might also appreciate the gift of an on-line course on how to repair, rejuvenate and care for their vintage sewing machine. The Joy of Vintage Sewing Machines teaches these skills and more as well as the pattern and instructions on how to create both of the projects in the Vintage Sewing Machine Covers pattern. Learn about purchasing and rejuvenating a vintage sewing machine in The Joy of Vintage Sewing Machines. Myrtle is a little owl that is perfect for sewing friends to hold quilting or sewing supplies or just to keep them company in their studio. I like to create Myrtle using recycled suiting fabric. You might even find yourself making a second Myrtle just for you! 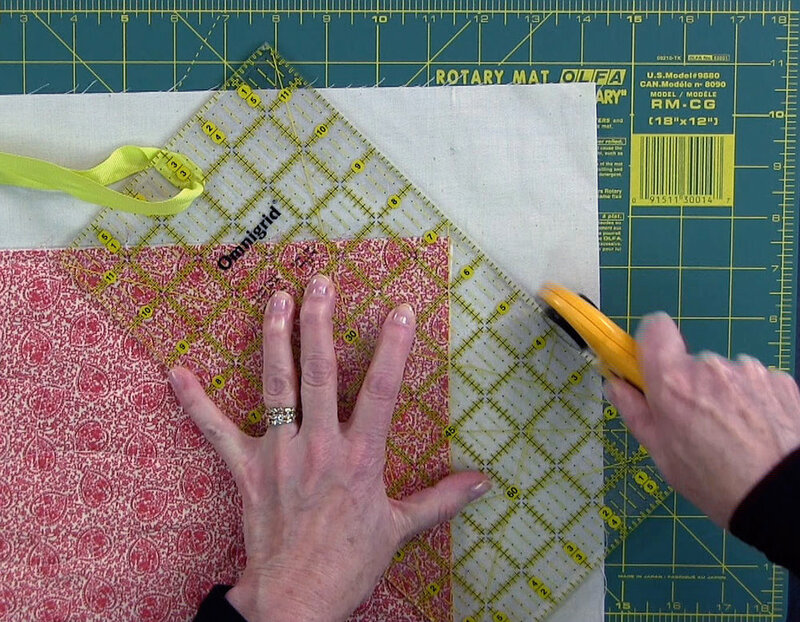 Myrtle by Chatterbox Quilts is a cute and helpful studio companion. Use upcycled vintage linens to create detail on Myrtle's back. With just a few supplies, you can create a project in the hoop. This is the quickest gift to whip up and it's so fun to embellish it to add that personal touch. Learn how to create the project in the hoop by watching the video below or on my Youtube channel. Looking for a really quick gift - and no sewing. Create this quick project in a hoop and you'll be done in no time. Lots of embellishment opportunities with this project. If you have any quick gift ideas for the holidays, I'd love to hear them. Please share them in the comments below.